The Faux Farm driveway. Those are my footprints. 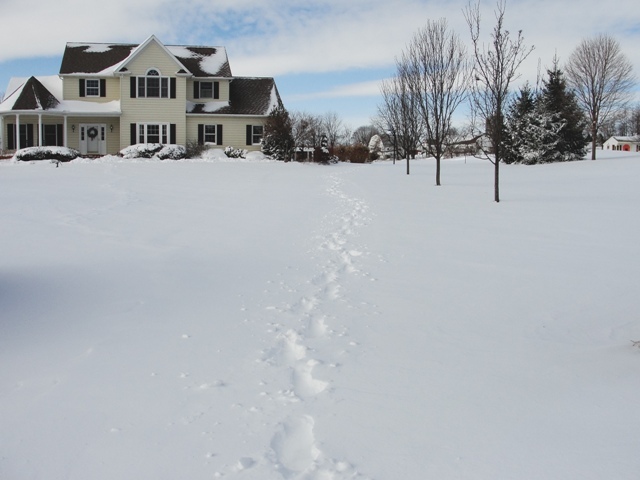 I went next door to my neighbors to take some photos for them and when I came home my footprints were almost wiped out with the new snowfall and wind. And where was Barry my lawn/snowplow guy? Good question!